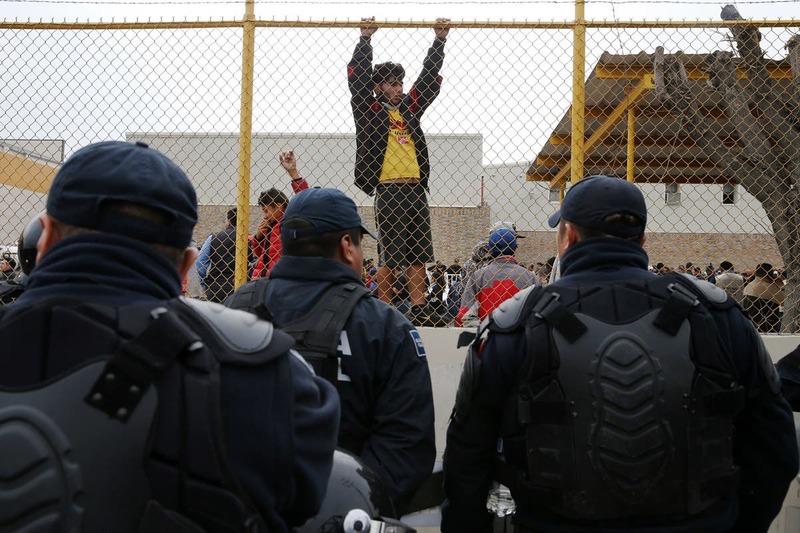 A migrant caravan of about 1,600 people camped out in a factory in Piedras Negras, a Mexican border city just west of Eagle Pass, Texas, on Tuesday. 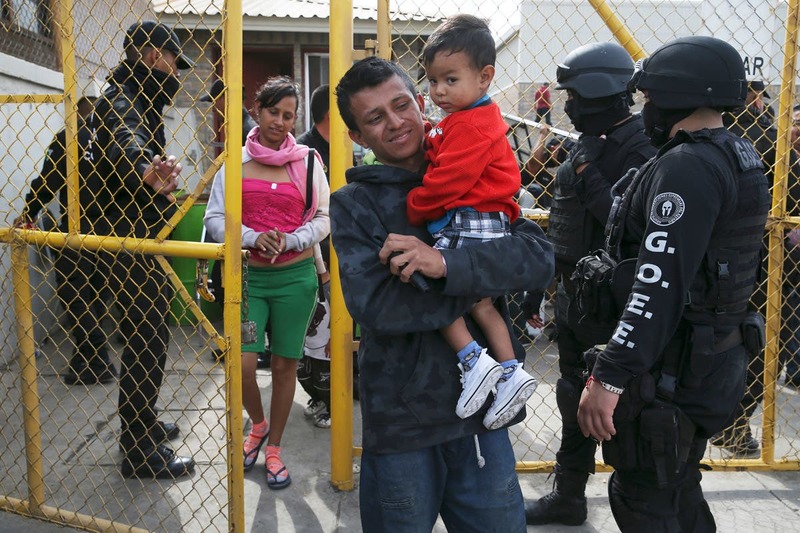 The Central American migrants are said to have arrived across the Rio Grande, prompting the governor of the northern state of Coahuila to dub them all as “asylum seekers,” reported AP. Jose Borrego, a spokesman for the Coahuila government, said the state organized 49 buses from the interior cities of Saltillo and Arteaga to ensure safety for all the migrants. “However, Mexican police and soldiers are holding the caravan in the factory and not letting them stay anywhere else, in part to prevent a mass attempt by migrants to cross the Rio Grande,” AP reported. Borrego also stated that migrants who have humanitarian visitor visas from Mexico are currently allowed to leave the factory. 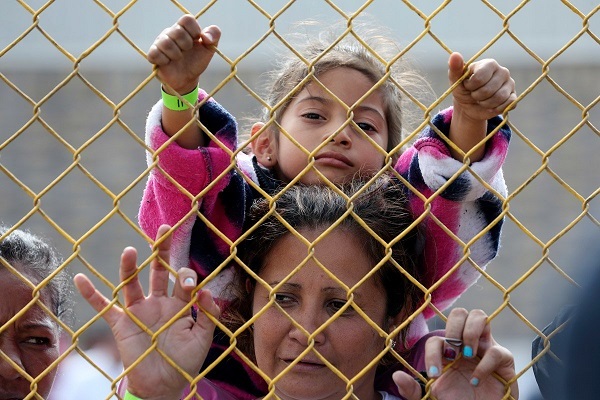 Central American immigrants hang around by the fence line of a shelter guarded by Mexican Federal police in riot gear in Piedras Negras, Mexico. 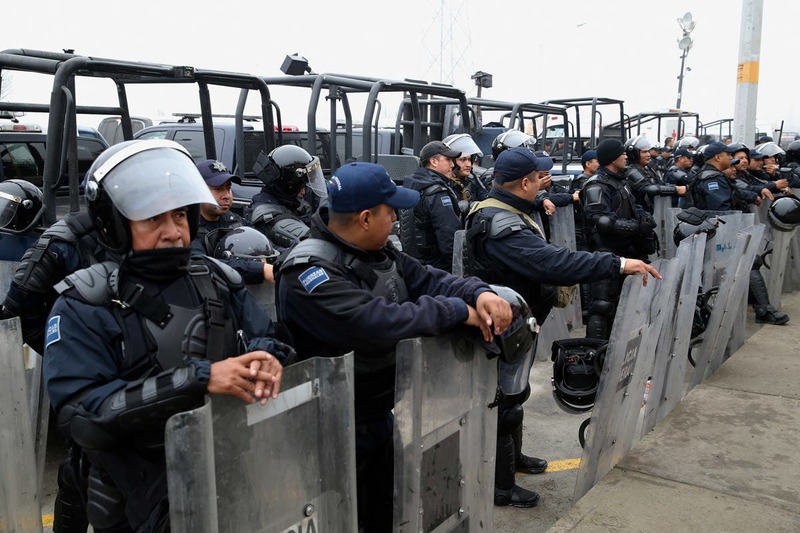 Mexican Federal Police in riot gear guard outside of a migrant shelter for Central American immigrants in Piedras Negras, Mexico.